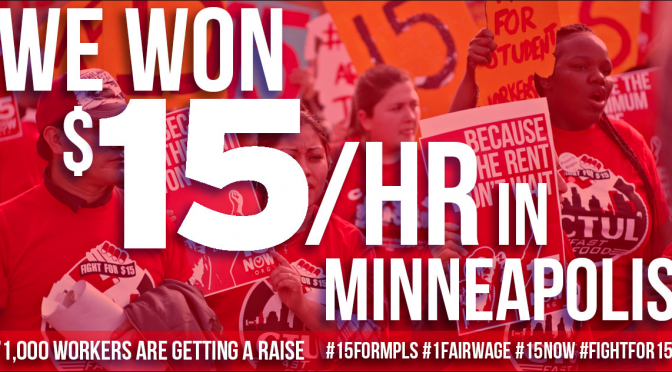 “Minneapolis residents may have another item to vote on at the polls this November: raising the city’s minimum wage to $15 per hour. 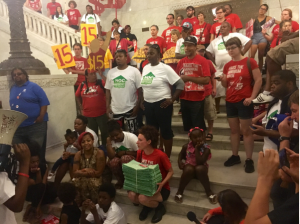 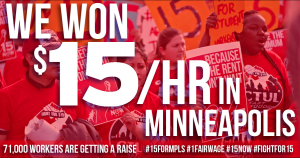 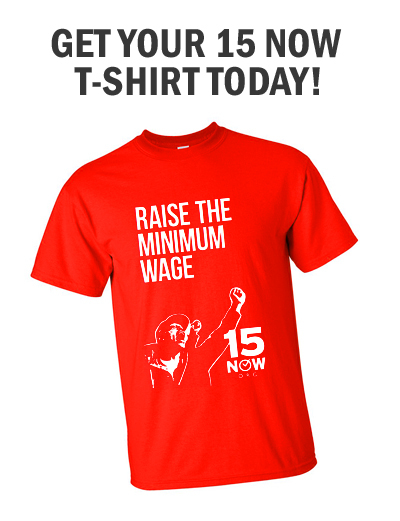 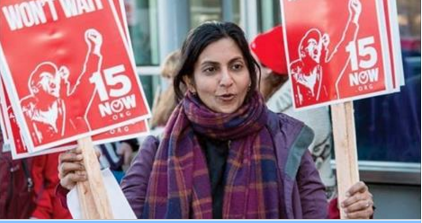 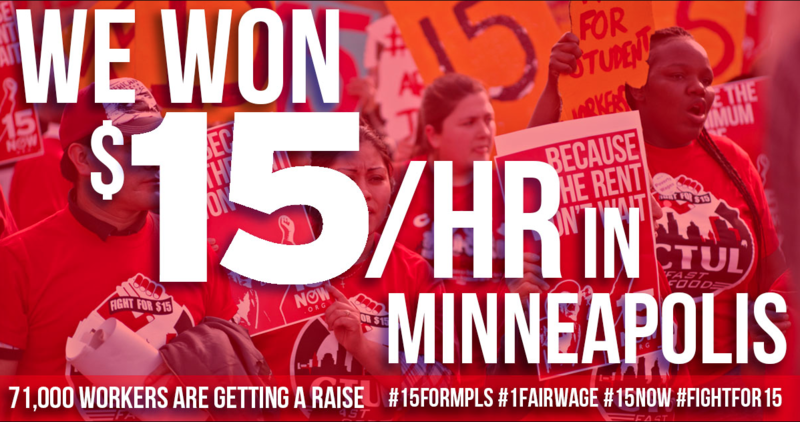 Minneapolis — Low-wage workers in the Twin Cities are launching a grassroots campaign to put a $15 minimum wage on the ballot in Minneapolis in 2016. 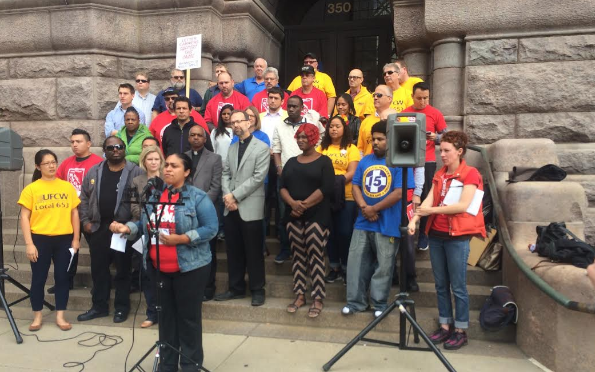 The initiative is backed by 15 Now Minnesota, Neighborhoods Organizing for Change (NOC), Centro de Trabajadores Unidos en Lucha (CTUL), the Minneapolis NAACP, the Minnesota Public Interest Research Group (MPIRG), the Minneapolis chapter of Black Lives Matter and other community and labor organizations. 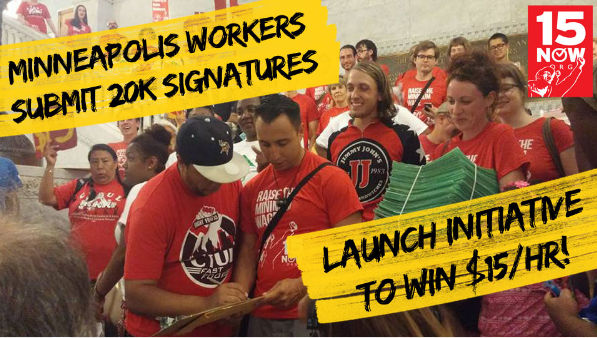 These groups will come together for a ballot campaign launch event on February 27th, a mass meeting to bring together all workers and supporters of a $15/hr. 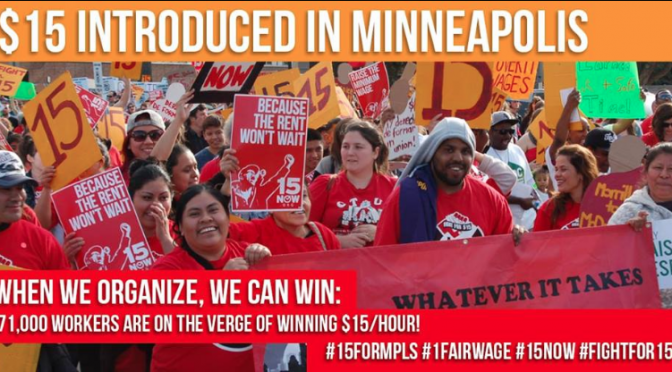 After months of coalition building with supportive organizations and low-wage workers, organizers with 15 Now Minnesota are confident the initiative can win. 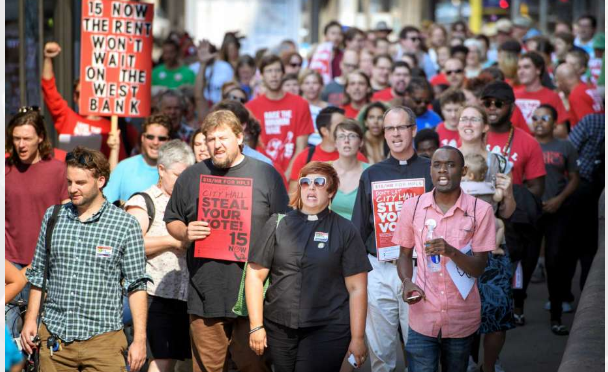 They point to a recent poll that showed 82% support for $15/hour among Minneapolis voters, victories in other cities across the country, the popularity of Bernie Sanders’ campaign and high voter turnout in 2016. 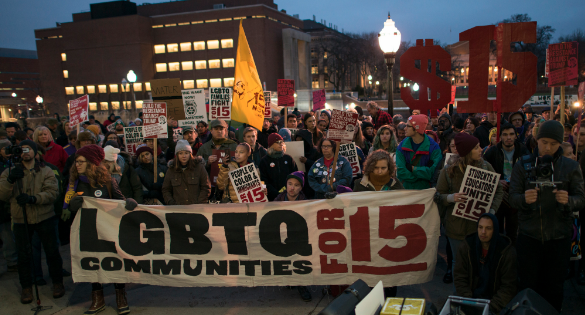 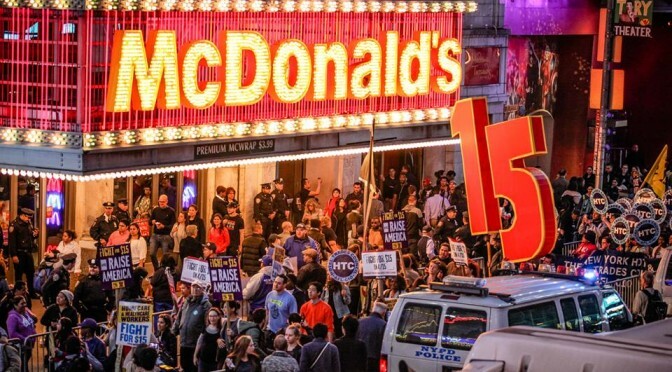 Many major cities across the country have taken bold steps to address poverty wages over the past year, such as New York, Chicago, St. Louis, Seattle, San Francisco, and Los Angeles. 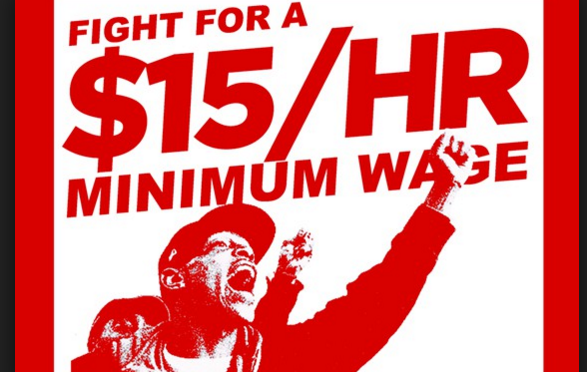 More than 4 in 10 workers nationwide are paid less than $15 an hour, including more than half of African-American workers and 6 in 10 Latino workers. Supporters say $15 is one of the most impactful single steps we can take towards racial and economic equity in Minneapolis.